This spice was featured at a crawfish contest and Moe won with it. It has a spicy kick and a savory sweet butter taste as well. Just sprinkle this on your seafood and taste the Magic. 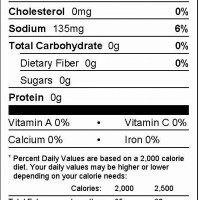 Seafood Cuisine is a seasoning created especially for your Crabs, Shrimps, Crawfish and more. The blend is definitely one of a kind. Moe took different spices from the Far East and combined them with the most popular and tastiest spices of the South. 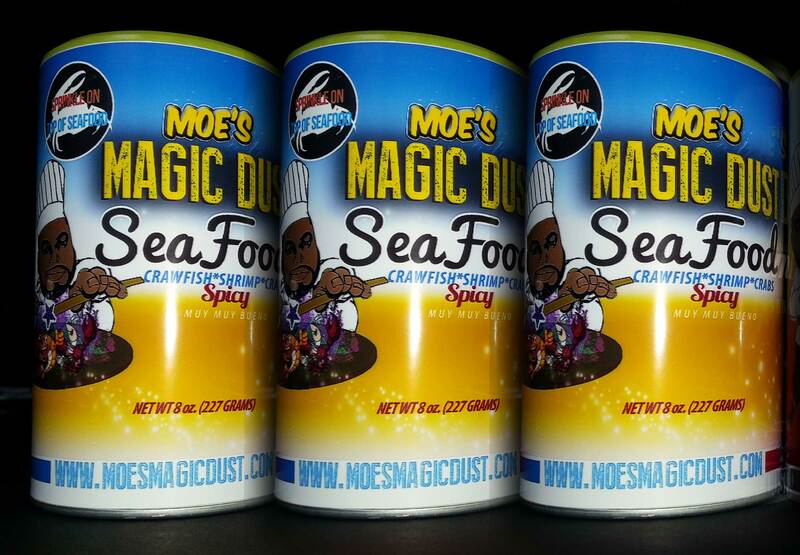 This spice was featured at a crawfish contest that Moe was a participant and he actually won using this special blend! It has a spicy kick and a savory sweet butter taste that will bring your seafood to life! Just sprinkle this on your seafood and taste the Magic. I would love to have had the option to review this product, unfortunately i placed my order for several of the products back on September 22nd of 2017 and still have as of March 11th 2018 not received my product! The owner Michael Moore, after the 5th promise that i would eventually receive my items,got mad at me??? when i asked him when will it be here. He told me to get my money back from paypal then hung up on me only problem is i ordered it directly from this site and dont have a paypal account. I spoke with one of the waitresses at his potato factory and she told me this has happened several times before. In closing DONT ORDER ANYTHING FROM THIS SHADY OWNER NOR HIS ESTABLISHMENT HE WANTS YOUR CASH WITHOUT ANY COST ON HIS PART, he is a thief and a horrible businessman.